Want to know how to take a Snapchat screenshot? It's easier than you might think, but before you even try, you'll want to keep reading to find out what the consequences are. 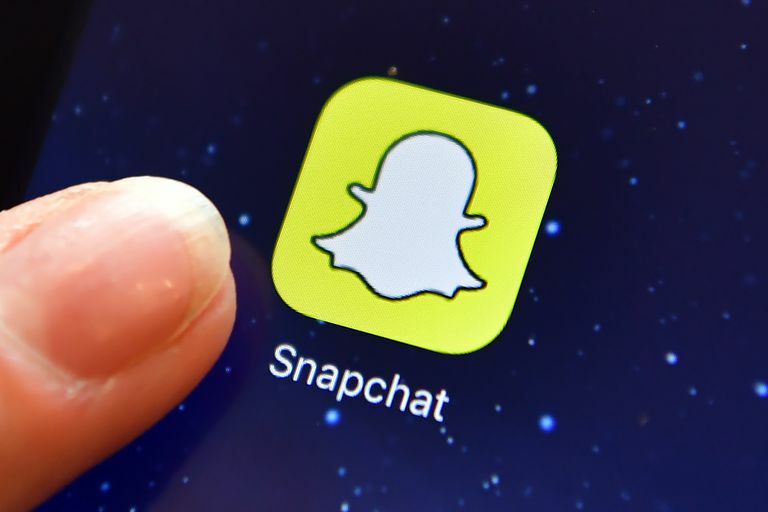 For those who aren't familiar with the popular instant messenger app, Snapchat allows users to chat back and forth with photos and videos that disappear once they've been open and viewed. Users can also post photos and videos as stories that can be viewed for 24 hours. If you're quick to react, you can successfully save a photo message by taking a screenshot before the 3 to 10 seconds of viewing are up. It seems harmless, but it can get ugly. Here's how users are capturing screenshots and some of the related issues and trends that have popped up because of it. Taking a Snapchat screenshot is no different than taking a screenshot of anything else. For most phones, holding down two of the buttons. On an iPhone: While viewing a Snapchat image, press the home button and the on/off button down at the same time. On an Android: This may vary depending on what type of Android device you have, but in general, you should be able to capture a screenshot by pressing the volume button on one side down at the same time as pressing the on/off button while viewing a Snapchat image. You'll know a screenshot has been taken if you hear the flash go off and/or if you see the flash across your screen. The screenshot is usually saved automatically to your camera roll or another media folder. Taking a Snapchat screenshot will trigger the app to send a notification to the friend who sent the snap. So if you open up a message from a friend and decide to take a screenshot, an automatic message will be sent to that friend notifying them that you took a screenshot of their message. Likewise, if you send a snap to someone and they decide to take a screenshot, you'll receive a notification letting you know about it. Can you take a Snapchat screenshot without the notification? Lots of people have figured out hacks to get around the screenshot notification feature in the past, but as Snapchat continuously updates its app to make it better, hacks that once worked may not work with current or future versions of the Snapchat app. That’s just the way it goes. PC Advisor previously had a good strategy that involved fully loading the received snap (without opening it yet) and then putting your device on airplane mode to view and screenshot the app. This, unfortunately, no longer works as a work around for the screenshot notification, so the only real option you really have is to use another device to capture the snap. The screenshot notification is a useful feature meant to protect users' privacy, but it doesn’t guarantee that people won't try to save your snapped photos. Whether you get notification or not, keep in mind that anything you send to somebody over the internet can be unknowingly saved and accessed again—even through Snapchat. Do not send anything through Snapchat that you think you might regret sending. Snapchat is well known for being used to send or "sext" provocative photos and videos. It's easy to assume that it's not a big deal since they'll be deleted and gone forever after a few seconds, but the truth is that it's just as risky as any other form of sexting. You can do a simple search for “Snapchat screenshots” on any image network like Google Images, Tumblr or anywhere else to see proof of it. A quick search will reveal that lots of people are saving Snapchat screenshots and posting them elsewhere online. Stay smart when using Snapchat. Don’t send nudes, inappropriate photos/videos or other private messages unless you’re prepared to face the consequences. Parents, talk to your child or teen about this if they have a smartphone or have friends who use Snapchat. Just because something online is deleted doesn’t mean it’s gone for good. What Exactly Is Snapchat, Anyway?